Saturday, June 24, 2017 International Day of Yoga at Town Green Park | FREE –Take a deep breath at Town Green Park in The Woodlands as you meditate, participate in beginner and expert yoga sessions, peruse booths with books, yoga gear, refreshments and more in celebration of International Day of Yoga. 6:45am to 9:30am. Music and … Continue reading Your Weekend Plans Are Here! 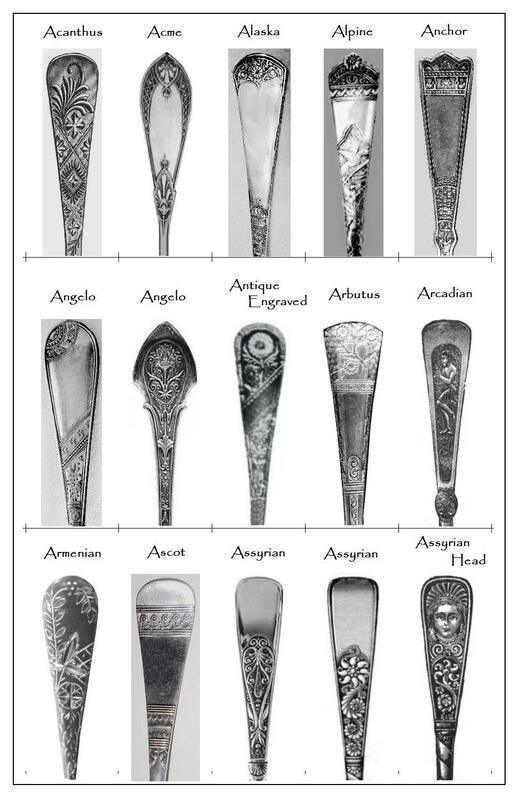 As I’ve researched flatware patterns over the years, I’ve compiled information which I wanted easy access to…thus this post. I hope it helps you as it has helped (and will continue to help) me. I’ll be updating it periodically. Following are some 19th Century flatware patterns shown in alphabetical order by pattern name. Below each grouping is additional information regarding the patterns shown. Where you see “+” it means that there were multiple manufacturers for a particular pattern as does the word “numerous”.